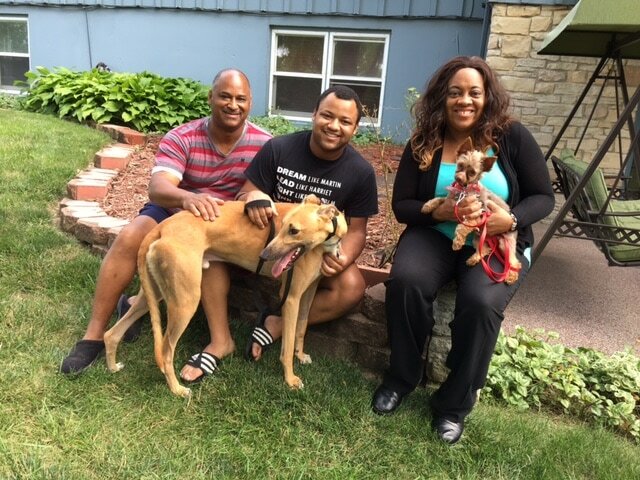 ​Kay Silknshine came to town on Thursday and was adopted on Friday! Jennifer, Terence and Julian knew exactly what they wanted in a new family member. Jasper is so tiny we needed to have a low prey friend. As soon as Silk got off the hauler I knew he would be a good fit for this family. They thought he was gorgeous and exactly what they wanted. Silk was a little curious at the first meeting with Jasper but then seemed very comfortable around his new room mate!